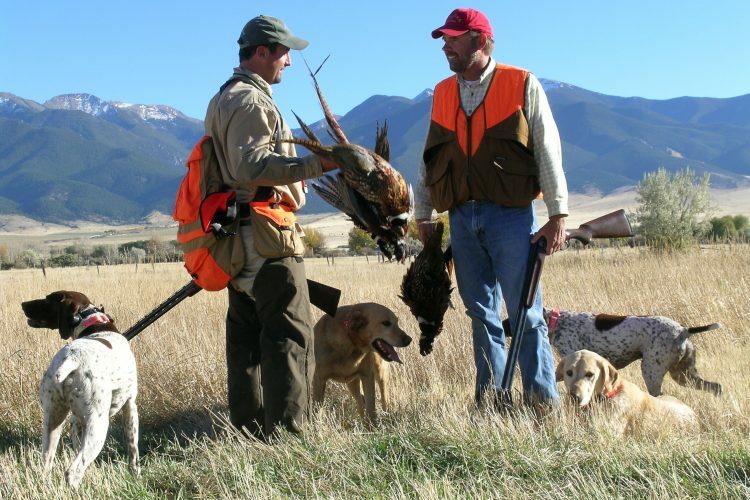 The SweetGrass Ranch offers an astounding package of improvements that are located in a completely private, unknown and beautiful part of Wyoming. The ranch has it all encompassed in its own very private section of the mountainous Black Hills. It has easy access to good air service and all the needed services in less than an hour’s drive. The ranch lies in a contiguous block, has world class big game hunting and includes some of the finest amenities in the Northern Rockies! Most intriguing is that no one has any idea that this unknown haven exists in the state of Wyoming! SweetGrass Ranch is a “five star” recreational paradise located on the edge of the Black Hills approximately 35 miles northeast of Gillette. SweetGrass Ranch totals 5,738± acres representing a truly private end-of-the-road ranch. The ranch is 5,058± deeded acres, plus a 640± acre State of Wyoming lease and a 40± acre BLM lease. It also borders 40,000 acres of mostly roadless Forest Service land that surrounds it on three sides, providing virtually endless recreation opportunities. The two custom built main residences, situated approximately two miles apart, are each approximately 7,800 square foot. They are beautiful homes inside and out. When you drop into the SweetGrass Valley the first building you come to is an impressive indoor riding arena with 10 horse stalls and a complete apartment. The other improvements include a 3,000 square foot underground shelter, five fully self-contained 1,600 square foot cabins, a set of corrals, a large equipment shed, a commercial sized heated shop, and a greenhouse. The improvements at SweetGrass are second to none! The ranch has abundant wildlife including elk, whitetail deer, mule deer, antelope, turkey, Pintail grouse, ducks, geese, coyote, bobcat, mountain lion, raccoon, badger, blue heron, foxes, rabbits, and numerous species of hawks and eagles. There are also several stocked fishing ponds. In summary, Sweetgrass Ranch is an exceptionally well improved, very private ranch bordering 40,000 acres of National forest. Other improvements include a fully equipped underground shelter, five 1,600 sq. ft. cabins, corrals, a large equipment shed, a large heated shop, and a greenhouse. Approximately 45 miles northeast of Gillette. The SweetGrass Ranch is located at the edge of the Black Hills and the Thunder Basin National Grassland. After entering the ranch on the north, one heads south past the indoor riding arena and managers home and into the main building compound. From there a series of private two-tracks can take you anywhere on the ranch. Virtually all directions from the compound take you into pine ridges and areas of heavy forest. Three sides of the SweetGrass adjoin U.S. Forest Service’s National Grasslands and an abundance of rarely explored terrain that holds a variety of wildlife—from elk to pronghorn. The ranch incorporates a broad diversity of land types from wet bottom ground to open parks and draws interspersed with timbered hillsides. Located in Campbell County, approximately 35 miles northeast of Gillette, the SweetGrass Ranch lies on the edge of the Black Hills, with the rugged, tree lined landscape creating a beautiful backdrop. SweetGrass Ranch is easily accessible year-round, by way of Wyoming State Highway 59. The ranch is reached by traveling on a well-maintained graveled county road that heads east off Hwy 59 and then by private gravel road heading south to the north entrance. It is located on the edge of the Thunder Basin National Grassland , effectively surrounded on three sides by 40,000 acres of mostly roadless land administered by the U.S. Forest Service, making the ranch an outdoor recreationist’s dream come true. The Gillette-Campbell County Airport offers regularly scheduled commercial flights. Schools in the area include the rural Little Powder elementary school in Weston, serving grades Kindergarten to 8th grade, as well as bigger schools in nearby Gillette with the Campbell County School District providing bus service. The location of this ranch is ideal for buyers who are looking for a private “end of the road” kind of property that is easily accessible. The SweetGrass Ranch is located in the unincorporated community of Weston in Northern Campbell County. This area is dominated by prosperous good-sized family ranches. The nearby community of Gillette affords a full spectrum of amenities. Gillette’s prosperity has been driven by the mineral activity in the area. This activity is fading a bit with the coal mines cutting back and coal bed methane becoming non-economic. However, the town has taken advantage of the influx of mineral related money and has built some wonderful infrastructure which the locals and surrounding ranchers continue to enjoy. Gillette is the home to a community college, a hospital, several churches, numerous restaurants, shopping, and a complete array of commercial services, as well as a full menu of social and cultural events. The Cam-Plex, a multi-use, county owned and maintained facility, hosts the annual Campbell County Fair, a PRCA rodeo, the National High School Rodeo finals, stock car racing, gun shows, antique and craft shows, a semi-annual indoor garage sale, National RV rallies, Wyoming Horse Racing, Mega Monster Truck Tours, and various concerts. The Cam-Plex Theater is a state of the art venue where national productions are performed each year. The location of the SweetGrass ranch truly gives you the best of both worlds, close to one of Wyoming’s bigger communities, yet totally private and secluded. Weston, the closest reporting station, gets an average annual precipitation of over 13 inches. Most of this precipitation comes during the spring and early summer, with over five inches falling during May and June, and with the winter months seeing an inch or less. The average annual snowfall in the area is 35 inches. During the coldest months of December and January the average high temperature will reach the high 30’s to low 40’s, with the lows dipping to around 11 degrees. The warmest months of July and August will have average high temperatures in the 80’s and an average low of around 55 degrees. The SweetGrass Ranch is a one of a kind listing, offering a wild but user-friendly landscape that is intrinsically beautiful in its own right and evokes the image of what a classic Wyoming ranch should look like. The Campbell County and the Black Hills are areas rich in western history. What is now Campbell County, stretching from the Black Hills in the east and near the Big Horn Mountains in the west, it was the perfect habitat for the North American Bison as well as other large mammals making it ideal hunting ground for Native American tribes: Cheyenne, Kiowa, Pawnee, Crow, and the Lakota Sioux nations. Next fur trappers and traders of European descent moved into the area around 1805 with the arrival of the first explorer-trapper, Francois-Antoine Larocque. In the 1860’s cattle drives were a common occurrence in the area as cattle were trailed from Texas to Montana, and shortly thereafter cattle ranches were established in Campbell County. During this same time the discovery of gold lead to the gold rush in the Black Hills and men also traveled through the area to the gold fields in California. Later years found the discovery of oil and coal which has played a significant role in the area’s history as well as in its current economy. The improvements on the SweetGrass Ranch are truly remarkable. The epitome of western luxury homes, the two main residences are approximately 7,800 square. foot each. The main residence at the headquarters was built in 2012 and is a single level, four bedroom home with, three full bathrooms and two half baths. An exquisite open layout with a multiroom fire place, large theatre room, and gym all overlooking the ranch and a beautiful stocked pond. The newer of the two main residences, located a mile north of the headquarter was built in 2015. It also is a four bedroom, three full and two half bathroom home. A spacious flowing floor plan is also equipped with a gym and a theatre. At the heart of the residence is a Savant Media Server that controls the operations. This home is an ultra-efficient, sound structure, built into the side of a hill. It looks out to the south of the ranch over a small pond. The yard and landscaping are exceptional, with a cookout gazebo, orchard, and garden. Both main residences are equipped with backup generators separate from the ranch compound. In addition, at the headquarters, there are five fully contained 1,600 square foot cabins. The cabins are equipped with comfortable kitchens and sitting areas, restrooms, and three of the cabins have four bedrooms and the other two have three bedrooms. These cabins work well for a large family gathering or housing a large group of guests. The SweetGrass Ranch also boasts a 3,000 square foot fully equipped underground shelter. There is a large solar panel system tied to large storage batteries. Additionally, the ranch compound also has an elaborate generator system, allowing the headquarters compound to go completely off-grid for extended periods of time! All the off-grid capabilities are state of the art and superbly designed. The ranch also is equipped with an impressive indoor riding arena; this dream equine setup houses ten horse stalls, horse washroom, tack facility, and a four bedroom, two bathroom apartment. Along with these beautiful improvements the “working end” of SweetGrass Ranch has all that one could need. The headquarters has equipment sheds, a shop, a barn and a nice set of corrals. There is also a modest manager’s home at the main entrance to the ranch. Several stocked fishing ponds can be found throughout the SweetGrass Ranch. Additionally, Duck Creek winds through the property and is intermittently fed with springs. It is not a flowing stream, but is a definite asset to the ranch providing water dispersed throughout. The ranch is also equipped with multiple livestock tanks that are fed from developed springs and wells. The Seller is not reserving any mineral interests. It is believed that there will be some mineral interests conveying, however it is unknown what is owned by the Seller. Based upon past years, the real estate taxes are estimated to run around $22,000 per year. The SweetGrass Ranch is an outdoor recreationist’s dream come true; surrounded by mostly roadless forest service land, the opportunity for exploring is limitless. Home to an abundance of wildlife, the ranch offers excellent opportunities for trophy hunting and wildlife viewing. Wildlife includes elk, whitetail deer, mule deer, antelope, turkey, Pintail grouse, ducks, geese, coyote, bobcat, mountain lion, raccoon, badger, blue heron, foxes, rabbits, and numerous species of hawks and eagles. The open, tree covered Black Hills provide the perfect backdrop for a day of horseback riding, hiking, or exploring on an ATV. Several stocked ponds throughout the ranch present great possibilities for peaceful days spent with a fishing rod and the solitude of the land. The potential for recreation on the SweetGrass Ranch is one of its greatest assets. The improvements lend themselves to a small exclusive guest ranch operation in an area that is easily accessible to commercial air service and offers a variety of recreational opportunities from hunting and fishing to horseback riding, four-wheeling, hiking, and simply sitting on the porch and enjoying a truly enchanting classic western landscape. The SweetGrass Ranch is the definition of western luxury and recreation in an extremely private location. The improvements lend themselves to the possibility of a guest ranch that could be used for personal or company retreats. Naturally it also offers a perfect family retreat nestled in the midst of the beautiful Black Hills. For those who are seeking privacy and yet desire to be within an hour of fine amenities, the SweetGrass Ranch is the ideal location. The indoor arena/horse barn allows for the raising and training of horses or simply as a base for owning and enjoying riding horseback over the rugged and beautiful Wyoming landscape. The ranch is large enough to handle a sizeable livestock operation if one is so inclined. 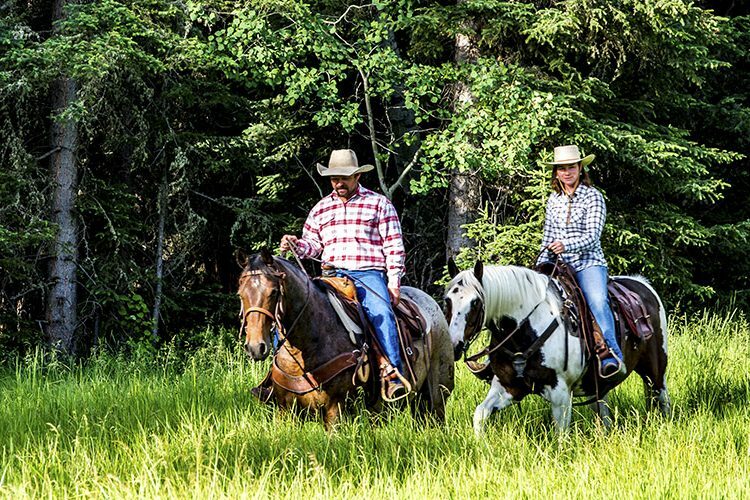 The current owners of the SweetGrass Ranch have been lightly using the ranch with a registered horse operation; not necessarily operating with a large number, but keeping a small package of extremely high quality brood mares. 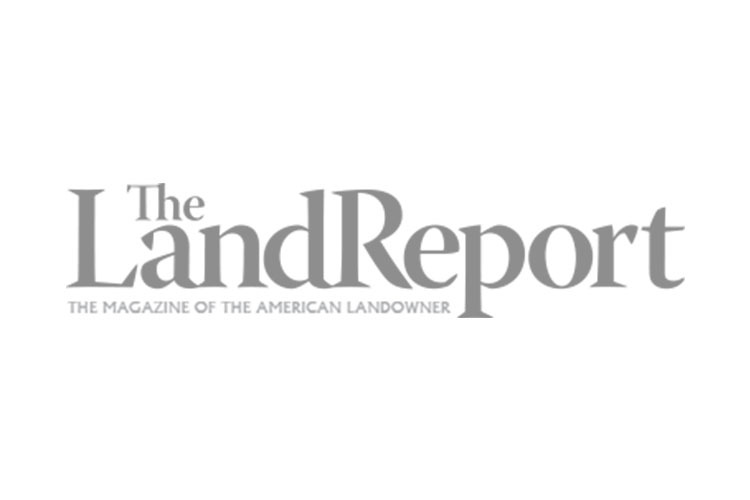 If a buyer is inclined to run cattle on the ranch, the ranch is cross-fenced multiple times and has a good distribution of water throughout for livestock. 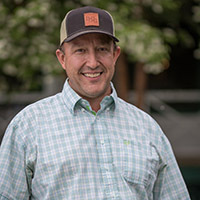 Based on county stocking averages, the ranch should comfortably support 150-200 pairs, or 500-600 yearling stockers for the summer grazing season. In addition to the grazing lands of the ranch, there are also a few dryland hay fields, totaling approximately 50 acres. These work well for additional grazing forage or creating better habitat for wildlife.